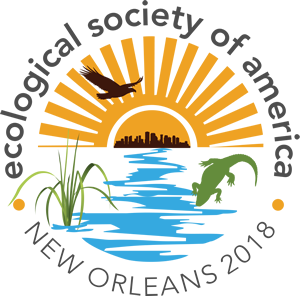 ESA meetings, open to ESA members and those interested in ecology, are among the most respected meetings of ecologist in the science community. ESA is committed to providing a safe, productive and welcoming environment for all meeting participants and ESA staff. All participants including, but not limited to, attendees, speakers, volunteers, exhibitors, ESA staff, service providers and others are expected to abide by this ESA Meetings Code of Conduct. This Code of Conduct applies to all ESA meeting-related events including those sponsored by organizations other than ESA but held in conjunction with ESA events, in public or private facilities. In addition, ESA members and authors of ESA publications must adhere to the ESA Scientific Integrity and Professional Ethics Policy. You must submit your proposal using the online submission form. Proposals sent by email will not be considered. Click the link below to begin by selecting which type of proposal you would like to submit. You will be able to return to the proposal to edit it until the submission deadline has passed. Information on how to do so will be included in two automated emails you will receive, first when you begin and then when you complete your submission. Please read and follow the abstract guidelines carefully. They are provided here as a guide to help you plan in advance. You can start your submission, save your progress, and then return to complete it at any time before the deadline has passed. A login and password will be automatically emailed to you when you begin an abstract submission. You may log in to view your abstract at any time by logging in here. If this is your first time submitting an abstract for an ESA meeting, we suggest reading some contributed abstracts from a previous meeting. Abstracts from recent meetings are available online (2017, 2016, 2015). If you are a student, we strongly encourage you to work closely with your faculty adviser as you develop your abstract. If you encounter problems during abstract submission, email Jennifer Riem and include the abstract ID number. We invite submission of abstracts for latebreaking poster presentations for the 2018 ESA Annual Meeting. Abstracts are encouraged to address the meeting theme “Extreme events, ecosystem resilience and human well-being” if appropriate, but doing so is not necessary. We welcome submissions that report interdisciplinary work, address communication with broad audiences, or explore ways of teaching ecology at any level. Posters presentations are two hours long and give presenters an opportunity for extended discussion and networking. Individually submitted contributed abstracts will be grouped together to create poster sessions organized around a common theme. Abstract authors will rank their preferred session themes as part of the abstract submission process. Latebreaking poster sessions are 8:30-10:30 am on Friday, August 10. By submitting an abstract, a presenting author is indicating they will be available during this timeslot. The abstract must primarily report on new work within the field of ecology. Reviews of previous work are not permissible for contributed presentations. Results/Conclusions, in which specific results of the study are explicitly reported and their implications for ecology are briefly discussed. The abstract must report specific results. The results may be preliminary but they may not be vague. Abstracts without explicitly stated results will be rejected. It is understandable that abstracts describing non-traditional work may lack quantitative data; however, it is still expected that the abstract will address some question and have a “take-home message” describing specific findings. Abstracts must be clear. Poorly written abstracts will be rejected. Abstracts must be written in English and must follow standard grammar and punctuation rules. Abstracts that do not meet this guideline will be rejected. For every author listed, their name, institution, and email are required information. Missing coauthors are a very common issue. Be sure to check to make sure everyone has been included. This is under Step 2, People, in the left hand menu. Any author can be designated as the presenting author. The presenting author’s name will appear in bold text. The presenting author is also the corresponding author. In order to receive notifications from us, it is important to make sure the correct person is indicated and that their email is entered correctly. During abstract submission, you will rank 3 themes to guide the grouping of your presentation into a session with similar presentations. Consider the themes carefully. They were updated in 2017. Latebreaking Poster sessions are Friday morning, 8:30-10:30 AM. By submitting an abstract, you are indicating you will be available during this timeslot. Each person is allowed to submit only one abstract where they are listed as presenting author. This rule is enforced in order to encourage broad participation. You may not present a Latebreaking poster if you are already presenting elsewhere in the program. This rule does not apply to coauthors. An author may be the presenting author on two abstracts only if one of the abstracts primarily reports on ecology education/outreach or is for an Ignite presentation. Because the submission deadline is very close to our final preparations of the program, editing these abstracts is not possible after the submission deadline has passed. Proofread very carefully. The presenting author of every accepted abstract will also need to register and will be reminded to do so in meeting correspondence. All Latebreaking Poster speakers will be notified of their acceptance in advance of the Early Bird registration deadline. Please note that the submission deadline for Latebreaking Posters falls after the May 1 cancellation deadline. Although you may still cancel an abstract submitted to this call, the $50 late cancellation penalty will apply after May 1. When submitting an abstract, presenters should be reasonably confident that they will attend the meeting and give the presentation as scheduled. The presenting author should notify ESA as soon as possible if a presentation needs to be cancelled. The fee for cancelling is $50 USD. The no show penalty is a one year presentation ban, regardless of presentation type. Any abstract with the penalized author listed as the presenting author will not be accepted for the following year’s conference. These penalties apply only to the presenting author, not to any coauthors, and for all presentation types (invited and contributed, posters and talks). The late cancellation and no show penalties will not be applied to presenters with unavoidable reasons for not attending the conference. For example, medical issues, family emergencies, unforeseen travel problems, difficulty acquiring a visa for travel to the US, and similar unforeseen situations outside of a presenter’s control. Late cancellations due to a presenter’s inability to secure funding to attend, starting a new job, or other scheduling conflicts are considered avoidable and the penalties will apply. Conversation is encouraged at our poster sessions. These sessions provide an opportunity for extended discussion and networking. Complimentary coffee and pastries will be available. Presenting authors are required to be present for the duration of the scheduled 2-hour session. The Exhibit Hall will be open to poster presenters at 8:00 AM Friday morning to allow posters to be hung before the session begins. Authors should hang their posters by 8:30 AM and remove them at the end of the session. Each presenter should hang their poster before the session begins and remove it at the end of the session. There is no poster size requirement except that the poster fits on the provided board. Poster boards are landscape format with dimensions 8 ft wide x 4 feet tall (2.4 m wide x 1.2 m tall). The poster is NOT required to take up all of the space provided, only to fit comfortably within that space. In practice most posters are smaller than the board, typically in the 4-5 ft wide x 3-4 ft tall range. Pushpins are the only method allowed for attaching the poster to the board. These will be supplied on site. Poster presenters may not use audio-visual equipment. Unfortunately we cannot accommodate the space and logistical requirements for such equipment. Poster presenters are welcome to bring handouts, such as 8.5×11 copies of their posters to provide as handouts. These will fit into an envelope that can be attached to the poster board using pushpins. May 3, 2018 Abstract submission deadline. May 31, 2018 Notification of acceptance sent to presenting author.